Can I get the “Warm Home Discount” on my supply? The Warm Home Discount is a government run scheme which currently we do not support, however will be something we will support in the future. I have received a notification from Nabuh Energy that I am leaving/have cancelled my account. However, I have not asked to cancel my supply nor have I agreed to switch to another supplier what do I do next? At Nabuh Energy, we would never cancel a customer’s account without their instruction either via phone call or email. Therefore, if you have received communication from us regarding your wish to leave, this may be because another member of the household has entered into an agreement with a different provider, or an alternative provider is trying to take over your supply in error. If you do not wish to leave, contact our customer service team on 03300 414 902 or customerservice@nabuhenergy.co.uk so that we can make the necessary arrangements to ensure you remain with Nabuh. I would like to leave Nabuh Energy, what do I need to do? If you are within your 14 day cooling off period, (14 consecutive calendar days from the date that you agreed to switch, NOT 14 working days) you must call our customer service team and notify them of your wish to cancel. If you are outside the 14 day cooling off period, After agreeing to our terms and conditions, all customers are required to stay with us for a minimum of 28 days from your initial start date. Once the 28 days is over you will then be able to contact a new energy company to begin the switch of your supply. Direct debit customers, cancelling your direct debit mandate will not be accepted as notification of your wish to cancel your switch. You must call the customer services team and instruct them accordingly. Will my current credit transfer from my old supplier to Nabuh Energy? NO – credit is non-transferable between two suppliers, you should run down any remaining credit on your current supplier prepayment key/card before inserting your new Nabuh key/card. How do I register my online account? You will be sent an email giving you the link to register for an online account on email when you first sign up with Nabuh Energy. If you have not received the email, or cannot find it, please contact our customer service team, who will resend the email out to you: customerservice@nabuhenergy.co.uk or 03300 414 902. Will I be charged for using my credit card to top up ? Nabuh Energy do not charge any transaction fees, however some banks may apply this. Please contact your bank if you have any questions or clarification around any fees. What if our prices change? If we change our prices for your tariff, we’ll update the tariff on your prepayment meter. If the change is a price rise, we’ll give you 30 calendar days’ advance notice of this. If you don’t want this price rise to be applied to you, you can switch to another Nabuh Energy tariff or switch to another supplier by telling us (either by phone or in writing) before or on the date the price rise is due to take effect. If you choose to switch to another supplier, you’ll need to arrange for your new supplier to take over your energy supply within 20 working days of the date on which you told us you wanted to switch. You can then leave Nabuh Energy without the price rise being applied to your account. As a prepayment customer, if you’re repaying a debt to us of £500 or less and your new supplier agrees that you can repay the debt to it rather than to us, we won’t object to your switch. If you want to switch and your debt is more than £500 and we object, you have 30 working days from the date we tell you that we have objected to repay the debt above £500 to bring it to or below that level. Once you’ve done this you can complete the switch without the price rise being applied to your account. What happens with Emergency Credit? Your prepayment meter features an emergency credit facility. This will provide you with a certain amount of extra credit once any other credit that you have bought for the meter has been used. We recommend that this is only used as a last resort where you are temporarily unable to buy credit for whatever reason. If you use all the emergency credit and don’t buy more credit, the prepayment meter will self-disconnect which means that you won’t be supplied with energy until you buy more credit. To reconnect your supply, you’ll need to buy enough credit to cover the amount of the emergency credit used plus at least £1. Please note that the prepayment meter will continue to take payment for the standing charge and any outstanding debt which you’re currently repaying to us while it’s running on emergency credit. We’ll send you a statement of account annually or when you ask us to send you one. This will give you details of your energy usage, what payments you’ve made and any debt which may be outstanding. If you switch to another supplier, we’ll send you a final statement based on the final meter read that you give us within 6 weeks of the switch being completed. You must pay any outstanding debt in full before we’ll agree to the switch unless it’s £500 or less and your new supplier has agreed that you can repay that debt to it rather than to us. I have lost my key/card, what do I do? Call our customer services line 03300 414 902 to request a replacement. Gas cards are sent out via 1st class post to your home on the day of the request. Electric keys can be sent via 1st class post to your home or you can pick up a new key from one of our local stockist within an hour of your request. Our customer service advisor will inform you of the stockist in your area. I have switched but have not received my key and/or card yet, how do I top up? Continue to top up as usual with your current key and/or card until you receive your Nabuh key and/or card. On receipt of the new key and/or card ensure all current credit is run down to Zero before inserting your Nabuh key and/or card to register it, if you insert the card before the credit is at Zero any current credit will be lost. Once the key and/or card is registered top up at your local place of vend as you did before. I have switched when will I receive my key and/or card? You will receive your key and/or card between 5-7 working days after your go live date. If you have not received your key/card please call customer services 03300 414 902. I have switched, but I have only received one key/card? For pre-payment meters your Key is for Electricity and Card is for Gas. If you are receiving both Gas and Electricity from us at Nabuh, our key/cards don’t always arrive on the same day. If you have been waiting a couple of days and have only received one, please get in touch with our customer service team at 0330 0414 902. How do I top up for the first time? Before using your card for the first time, you’ll need to activate your key card. Insert your key or card into the meter for a minimum of 60 seconds to activate it. Visit your local PayPoint, PayZone outlet or Post Office and top up your key or card. Finally, insert your key or card into your meter. The credit will transfer automatically. Repeat this process each time you wish to top up. Where can I Top Up my Pre-payment Card? You can top up at any PayPoint, Payzone outlet or at The Post Office. You can find all methods available at Nabuh Energy here. Where can I top up my Smart Meter over the counter? Want to know where you can top up your Smart Meter over the counter? Simply enter your postcode and click Select individual services. Find ‘Nabuh Energy’ as your Utility & Bill Payments service in the drop down menu. How do i use my Smart Meter? The installer who fits your smart meter will show you how to use your new meter and in-home display. They’ll check it’s working and answer any questions you may have, so you’ll get the benefits of your new smart meter straight away. Your in-home display shows your energy use information and you’ll still receive energy bills, but now they will be accurate without you needing to submit meter readings. If you’re on prepay, your in-home display will also show how much credit you have. Can my smart meter help me save money? Smart meters can help us to identify situations where we’re using a lot of energy and might want to make changes to this. If you use the information shown on your smart meter in-home display to reduce your energy use, you could cut your energy costs. Smart meters also mean accurate bills as they bring an end to estimates, so you can be confident that you’re only paying for what you’ve actually used. Can I switch tariff or energy supplier if I have a smart meter? Yes. People with a smart meter can switch energy supplier and tariff in exactly the same way as anyone with a traditional meter can. Smart meters should make switching easier, as you’ll have the information you need to make an informed decision and choose the best tariff and supplier for you. Will my smart meter stop working if I switch energy supplier? No. Your smart meter will continue to accurately record your gas and electricity usage. However, if you’re considering changing energy supplier, it’s best to check if your new supplier can support smart metering technology before you agree to switch. In this early stage of the rollout, some people with SMETS1 type meters may find that if they switch supplier, they need to start sending meter readings again in order to get an accurate bill. This is just a temporary situation. A secure national communications network for smart meters is being set up. Once SMETS1 meters have been enrolled into this network they will become interoperable between suppliers and will once again deliver their full benefits. Can I get a different smart meter or in-home display? At the moment, your smart meter and in-home display come as a set, so you can’t connect other types of smart meter or display. As smart technology continues to evolve, new display types may be developed that can, but you should never need to replace your meter if you’re changing your display. Will in-home displays work for people with disabilities or impairments? Consumers wishing to use an accessible in-home display should contact their energy supplier to see if they will be offering these to their customers in due course. Where should I put my in-home display? The majority of consumers put the in-home display in their kitchen, where they can easily see it at a glance. You can put it wherever is most convenient for you as long as it is equally spaced between the gas and electric meter. Just make sure it’s somewhere that it won’t get wet, that’s near a plug socket and where everyone in the household can see it. What should I do if I have difficulties using my in-home display? Your energy supplier is responsible for helping you understand how to use your in-home display, and instructions on how to use the in-home display will be shared with you during your installation or sent to you. If you encounter any problems with your in-home display and would like further advice, you should contact your supplier directly. My in-home display has been off for some time. Can I start using it again? Yes. It can take a short while to update though, so please wait 24 hours before checking it. Your smart meter continues to work, even if your in-home display is turned off. Your display holds up to 13 months of data in its memory, so you’ll still be able to see how much energy you’ve used. How often will my smart meter readings be sent? You can choose how often your smart meter sends data to your gas and electricity supplier. Monthly is minimum, daily or half-hourly are optional. You can change your preference for how often you share this information at any point by getting in contact with your supplier directly. How accurate is the cost that’s shown on the in-home display? The cost shown on your in-home display should reflect your energy consumption and be reconcilable with your bill. 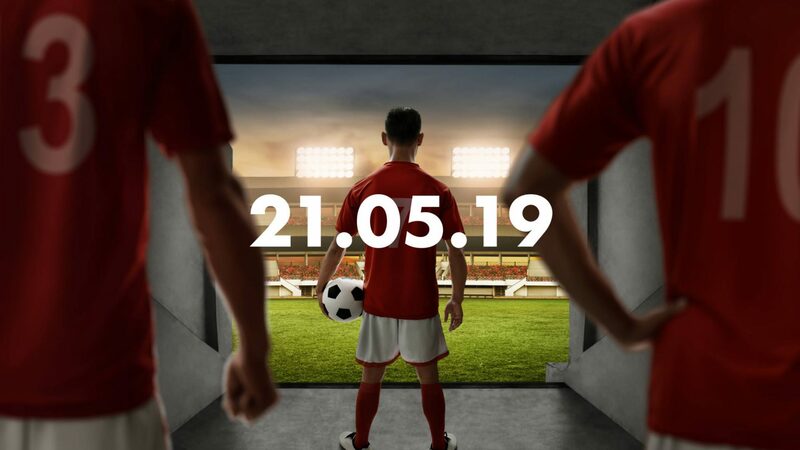 It will include standing charges and VAT, although it may not show any discounts or ad hoc charges. My in-home display is faulty. What can I do? Contact your energy supplier. If you’ve had the in-home display for less than 12 months, and the display has broken or is no longer working as it should, your supplier will replace it free of charge. After that time you will be required to pay £39.99 for a replacement. I didn’t want an in-home display when I got my smart meter, but I’ve changed my mind. Can I still get one? If you didn’t want an in-home display but have changed your mind, you’re still entitled to receive one at no extra cost up to 12 months after your smart meter installation date. Just contact your energy supplier and they will provide one. If you’ve had your smart meter for longer than 12 months, ask your supplier. You will be required to pay £39.99 for it. I’m moving home. Can I take my in-home display with me? No, it won’t work. If you’re moving home, please leave your in-home display at your property so the new householder can benefit from using it. I have a smart meter, so why is my supplier asking for a reading? As with all wireless technology, smart meters may occasionally experience connectivity issues. Just like a mobile phone or Wi-Fi networks, these problems can be caused by a number of issues that can usually be resolved quickly. If your smart meter cannot communicate with your energy supplier via the designated wireless network, they may ask you for a temporary manual reading so that your bills will remain accurate, until the problem is resolved. I have a smart meter, so why have I received an estimated statement? The first bill you receive after having your smart meter installed may still be estimated. If you are still receiving estimated statements after this, you should contact your energy supplier. Can my energy supplier cut off my gas or electricity remotely? You’re protected by strict regulations against your energy supplier switching off or disconnecting your gas or electricity supply. This protection remains as strong with smart meters as it is with traditional meters. What do different displays on my meter mean? We know that it can be confusing and often scary when you have different codes showing on your meters. That is why we have compiled a full list of codes that could possibly be shown on your meter and the explanation of what these are. Please only access your meter if it is safe to do so. The large blue button lets you move through the meter’s different screens. There are usually two different types of displays on electricity prepayment meters. Some of them show a letter to identify which screen you’re looking at, while the others show a description of the screen to help you find the information you need. Display R – Your emergency credit (you’ll need to have inserted your key or card to see this). Display S – Any debt you owe us (you’ll need to have inserted your key or card to see this). Display T – Your debt charge per week (you’ll need to have inserted your key or card to see this). What do the different displays on my gas prepayment meter mean? Do I lose credit from the meter when I switch? Yes any current credit will be wiped from the meter however this is not “lost” your previous supplier will have taken a final snapshot of your meter when it moved over and know exactly how much needs to be reimbursed to you. Dependant on supplier will affect how you receive this money back. We therefore advise you to top up by small amounts so that you are not out of pocket at the time of your switch. How do I get credit back if it’s lost during my switch to Nabuh? Contact your previous supplier, explain you recently switched to a new supplier and the credit on the meter was wiped. Ask that they reimburse the credit to you as soon as possible. Does Nabuh Energy support Smart Meters? Yes, we can now support some smart meters depending on the meter type. We are currently rolling out Smart Meters, please complete our Smart Meter Interest Form Here and we will contact you when we are fitting in your area. We advise customers to provide us with an opening meter reading on the start supply date, we also ask that you provide us with a regular monthly reading so that we can ensure you never pay to much or too little for your gas and/or electric. There is a debt on my meter, how do I remove it? If you have incurred the debt you will need to top up an amount to cover the outstanding debt + an amount of credit suitable to support your weekly/monthly usage. For example, if the debt amount is £30.00 and you normally top up £10 per week, the total top up would need to be £40 to extinguish the debt and ensure your meter has sufficient credit for that upcoming week. Debt is typically accumulated as a result of unpaid standing charges. Regardless of whether you use any gas or electricity, your meter incurs a charge daily usually of around 25p per day. If you have not credited your meter for a while this daily charge will not have been paid, thus the build-up of debt. If the debt on the meter is a historical debt from a previous tenant, you will need to call our customer services team on 03300 414 902, so that arrangements can be made to have that debt removed. You will need to provide our team with proof of the date you moved into the property and also photographic evidence of the outstanding debt on the meter. What does ‘Card Error 35’ mean on my meter? This isn’t anything to worry about, this can sometimes be dust or something else obstructing the meter from registering the chip. Take out your key or card from the meter, and wipe the chip. Put your key or card back into the meter and try again. If the problem consists contact our customer service team at 0330 0414 902. My meter is using credit much quicker than usual. Why? There are number of reasons why your meter may be using credit quicker than usual. There is a debt in the meter. 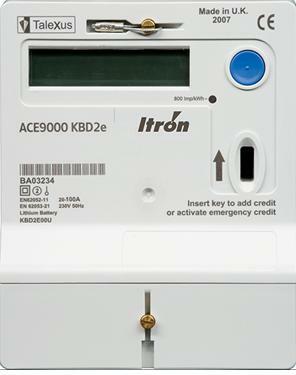 To check your electric meter for debt, insert the key press the button until you get to screen ‘S’ or ‘8’. These will show you the amount you owe. For gas debt, insert your card press the button until you get to Screen 27, this shows you the amount to be repaid. You have entered your emergency credit. In case of an emergency where you have been unable to top up, all meters have £5 emergency credit. This credit runs down much quicker than credit that you have purchased. You will need to top up your meter ensuring you also cover the cost of the amount of emergency credit you have used. I am off supply, what do I do? Call our customer services line 03300 414 902, we will investigate the problem with you and ensure you are back on supply as soon as possible. There is an issue with the meter, in these circumstances we will arrange for an engineer to attend your home within 3 hours from the time of your call to fix or replace the meter. The meter has run out of credit, in which case you would need to top up. Usually in these circumstances, you will have also used up your emergency credit. Therefore, when topping up you will need to credit the meter with your usual amount e.g. £10 plus an additional £5 to reimburse the emergency credit used. ‘Error A3’ – What does this mean? If ‘Error A3’ appears on your electric meter, this means you have taken your card out too quickly. This may not register your top up, therefore you will need to try again. If this problem persists please call our customer service team at 0330 0414 902. What are the disadvantages of a prepayment meter? If you don’t top up your prepayment meter and then use up all your credit (including the emergency credit), the energy supply to your home will self-disconnect until you buy more credit. If you’re going to be away from your home for a few days, you’ll need to make sure that you have enough credit on the prepayment meter to cover the standing charges, any energy usage (such as a fridge or freezer) that will take place while you’re away and any debt repayments that need to be made during that time. Tariff costs may be higher for customers supplied with energy through a prepayment meter due to the higher costs to serve that this payment method results in for us. It may be more difficult for you to regularly buy credit for the prepayment meter if you don’t have easy access to a Payzone outlet. If you have sight difficulties or other special needs a prepayment meter may not be suitable for you to use. If you lose or damage your prepayment key used for topping up the prepayment meter, you’ll need to ask us to send you a new one. We may at our discretion charge you for the cost of this. If you want to change from being supplied through a prepayment meter to being supplied through a credit meter, you’ll need to pay any outstanding balance that you owe us and we’ll need to agree to this change taking place. We may at our discretion charge you for the cost of changing the meter. What are the advantages of a prepayment meter? A prepayment meter can help you in managing your energy usage by allowing to pay for your energy in advance and make it easier for you to control how much you spend. If you owe us money and are having difficulty in paying, a prepayment meter can help you repay this debt in fixed amounts over a set time-period once an agreement has been made between you and us to do this. Prepayment meters are set with an emergency credit facility which will help you in remaining supplied with energy if you run out of credit and can’t immediately top up the level of credit on the meter. However, please note that any emergency credit used must be repaid when you next top up so please make sure that you only use it in an emergency. You should be able to build up a level of credit during the summer months when your usage is lower that will help you pay for your higher level of usage during the winter months. What do i do If the prepayment meter is faulty? If you believe your prepayment meter is faulty, please contact our customer care team. We’ll send an engineer to the property within 3 hours of your telling us (or within 4 hours on a weekend or a Bank Holiday) to find out whether we can repair it. If this isn’t possible we’ll replace it. If you tell us about this problem outside the hours of 9am to 8pm Monday to Friday or outside the hours of 9am to 5pm on a weekend or Bank Holiday, the 3 or 4-hour timescale will begin from the start of the next day. If we don’t visit you within the timescales above, we’ll pay you £30 within 10 working days. If we don’t make this payment within 10 working days, we’ll pay you an extra £30 within a further 10 working days. Payments will be made as a credit to your account unless you and we agree otherwise. What if I have difficulty repaying the debt? If your circumstances change or you can’t afford the agreed regular repayment amount, please contact our customer care team. We’ll try to agree on a new debt repayment level with you and arrange for the prepayment meter to be adjusted to collect the new agreed regular repayment amount. What happens once the debt has been Repaid? Once the debt has been repaid, the prepayment meter will continue to allow you to pay for your energy in advance and you’ll only pay for the energy you use along with the daily standing charge. If your prepayment meter doesn’t automatically reset, please contact our customer care team. Once your meter has been reset we’ll send you an updated statement. If you’ve recently moved into a property where a prepayment meter is already installed, we’ll exchange this for a credit meter if you ask us to as long as you meet our credit requirements. If you don’t, we may at our discretion ask you to pay a security deposit before we’ll agree to this. If you’ve lived at your home for more than 6 months after we’ve installed a prepayment meter and the prepayment meter wasn’t installed to help you repay a debt to us, or if you’ve already repaid any outstanding debt to us, we’ll exchange this for a credit meter if you ask us to provided, that you meet our credit requirements. If you don’t, we may at our discretion ask you to pay a security deposit before we’ll agree to this. We won’t exchange a prepayment meter for a credit meter if the prepayment meter was installed to help you repay a debt to us and that debt hasn’t yet been repaid unless we’re able to agree on repayment by another method which is acceptable to both you and us. Please note that we reserve the right to charge you for our associated costs if we agree to another repayment method and then need to reinstall the prepayment meter later due to you not making the agreed regular repayments. how do i change the location of the prepayment meter? If you have trouble getting to your prepayment meter, we can arrange for an engineer to move it to a different location for you so you can get to it more easily. If you need to have the meter moved a greater distance than we can help with, we’ll put you in touch with your local electricity network operator or gas network operator (as applicable) who will be able to help you with this. If you are a pensioner, disabled or chronically ill or there is a child under 5 years old in your household we won’t charge you to move the prepayment meter. If you aren’t eligible to have us do this free of charge, we’ll inform you of this and tell you how much this will cost. You can then decide whether or not you wish to go ahead with having the prepayment meter moved. It’s important that we’re able to access the prepayment meter when we need to. For example, we may need to get an exact meter reading, to complete a safety inspection of the meter or to reset or exchange the meter. If you don’t give us access to your home, then we may have to apply for a warrant to gain access. If we have to do this, then we may at our discretion charge you for our costs in relation to this.